What kind of big mouth doesn't like to plant their lips around some fresh fish? Not me. When I want to keep it simple, I don't play stupid. 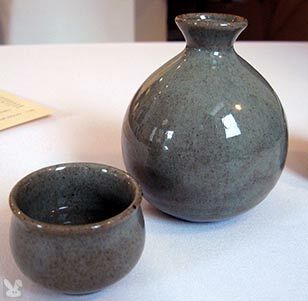 Atmosphere: If you are interested in an intimate dining experience, this tiny restaurant is for you. Its white walls, simple tables and minimalist décor turn to focus toward the food. There are 3 small tables and 5 seats at the sushi bar, so make a rezzie. 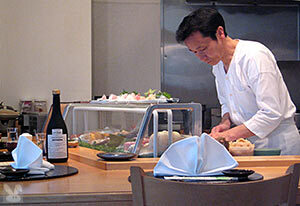 Service: Naka san does all the cooking and there is one person tending to everything else. They do a great job of keeping their customers happily fed. We ordered one of each of the omakase menus priced at $42 and $60. 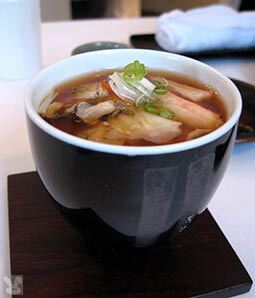 The sake list includes several premium cold and hot sakes to compliment the chow. 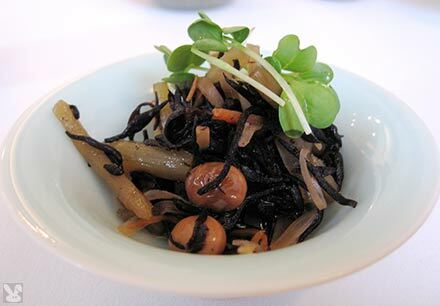 The hijiki salad with daikon sprouts was an enticing start. 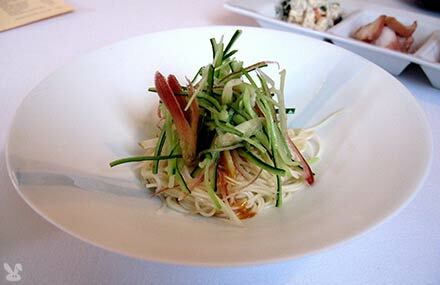 Another cold noodle salad with cucumber was a refreshing herald of the simply composed, beautiful dishes to come. 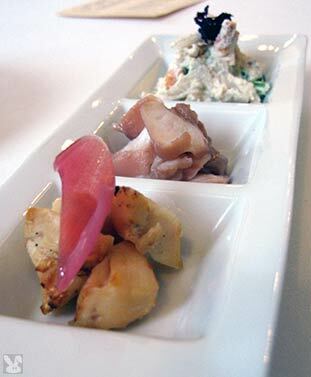 A trio of tastes included: tako cooked until tender, mirugai and a cold miso salad. 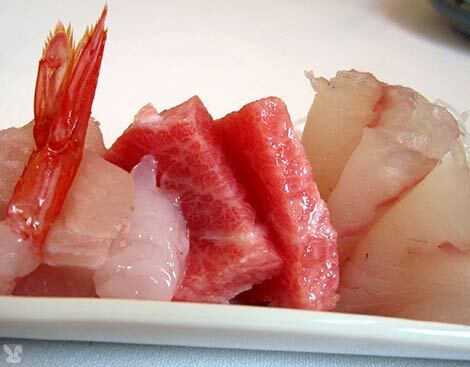 I loved the sashimi of amaebi, fatty tuna and thai snapper. It was time to turn up the heat with a white bean curd sauce with boiled daikon, carrot, clams and snow peas. This was a homey preparation that came after pristine slices of fish (not an easy act to follow.) 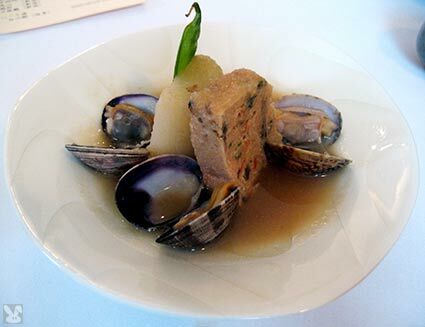 Although good, it was difficult for me to switch gears to fully enjoy this nicely made dish. 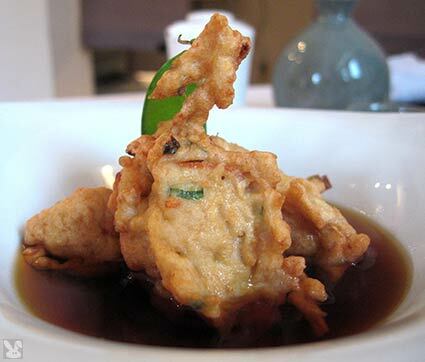 Deep fried “squid” tofu with ginko in a shoyu based tempura style sauce. This was good, but I’m not big on tempura. 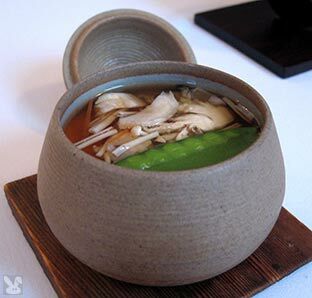 The chawan mushi were served two ways – one with crab, the other with halibut and enoki. Rather than being 100% custard, the solid component began about an inch under the soup layer. Both were tasty. We greedily savored the sashimi assortment featuring halibut, salmon, shad, uni, amberjack, sake and toro which was our favorite course. 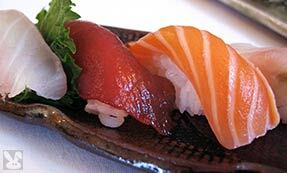 The nigiri sushi was stellar. 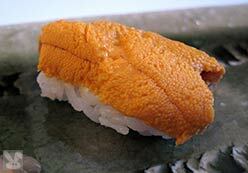 The selection included house cured and marinated fish as well as some perfectly fresh, sweet uni. 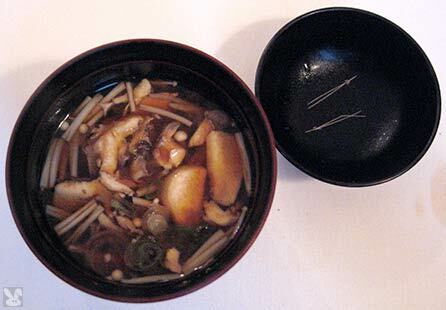 To calm us back down after our shark-like feeding frenzy, we were presented with bowls of soothing miso with mushrooms and scallions. 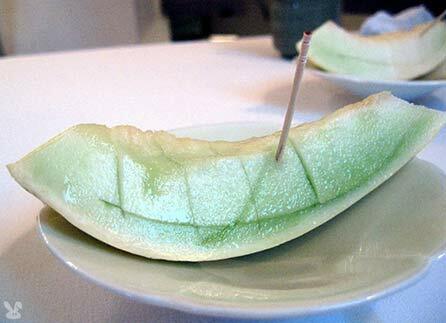 Honeydew melon was a refreshing conclusion to this pure and delicious dinner. 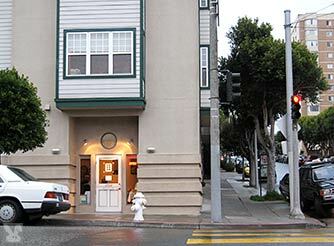 This is an unique San Francisco find. 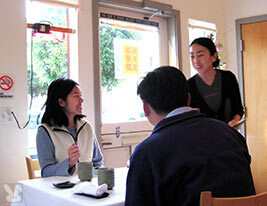 No big signs, no hype, just pristine chow served up expertly in a clean, casual, atmosphere. 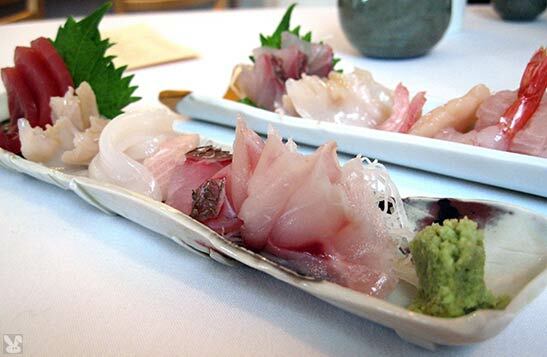 If you want to have an incredible sashimi experience, here’s where you should plant your smackers. This little restaurant doesn’t need to have more than one unisex bathroom and they keep it clean and well stocked. There is even a dramatic fresh flower arrangement to dress it up.